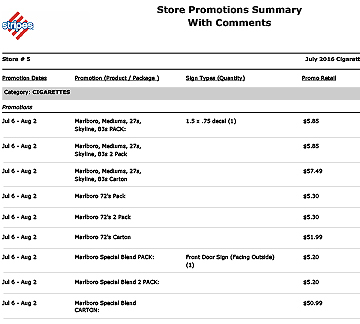 The marketing team at Stripes wanted a way to improve the monthly promotion process and develop store-specific pricing across key categories for its 700+ convenience stores. GSP’s marketing software helps to streamline the execution of promotional campaigns by linking all stakeholders involved. 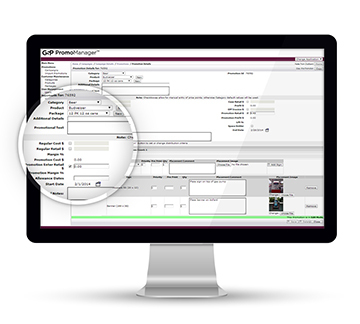 It makes the process easier for store managers and category managers. 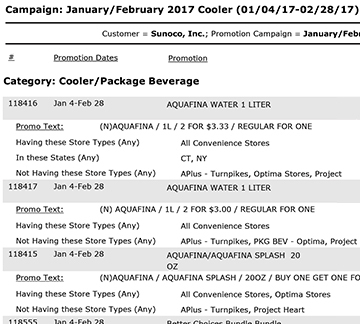 Dates are built in so they know when they need to enter promotions. Now there are no more surprises as far as what Marketing needs to do and what the stores know to expect. If it’s not in the software, it doesn’t ship in the monthly kits. Track dates and sign placement info. Data is shared so no unnecessary re-keying. Reporting capabilities are even helping to facilitate stronger meetings. Store-specific summaries let each store know what to expect in the monthly kit. 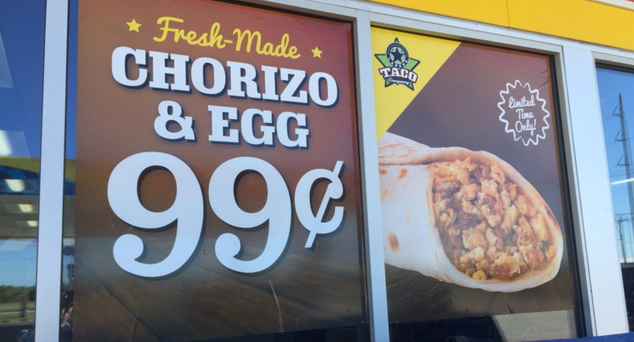 Ensure the right promotions are executed in every store, every time.